Over the End Line was written by Alfred C. Martino. Over the End Line was published by Houghton Mifflin Harcourt. 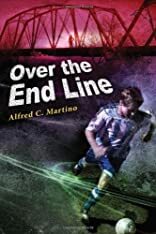 About Alfred C. Martino (Author) : Alfred C. Martino is a published author of young adult books. Some of the published credits of Alfred C. Martino include Pinned (Unabridged), Pinned.